GSA Schedule 70 offers our government customers direct delivery of state-of-the-art, high-quality Information Technology services at volume discount pricing. When using GSA Schedule 70, ordering activities have the opportunity to meet goals, while promoting compliance with various environmental and socioeconomic laws and regulations. ABSI's has a State Term Schedule Contract Index #033 with the State of Ohio for our Information Technology Products and Services. ABSI's Ohio contract number is 534-202. 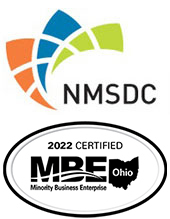 If any questions, please contact Rajeev Dubey, Manager for Government Sales, at 614-917-2274.